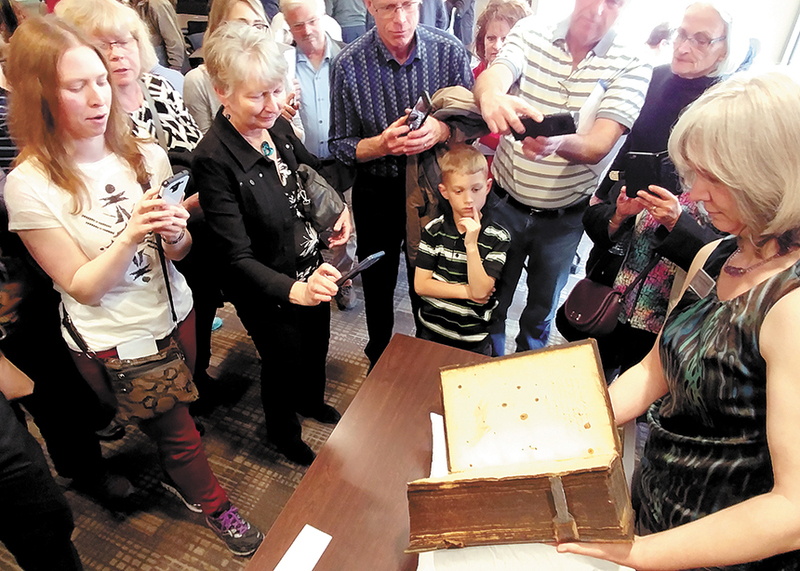 On May 12, some 125 people gathered at Conrad Grebel University College for an unusual homecoming celebration—for a Bible. 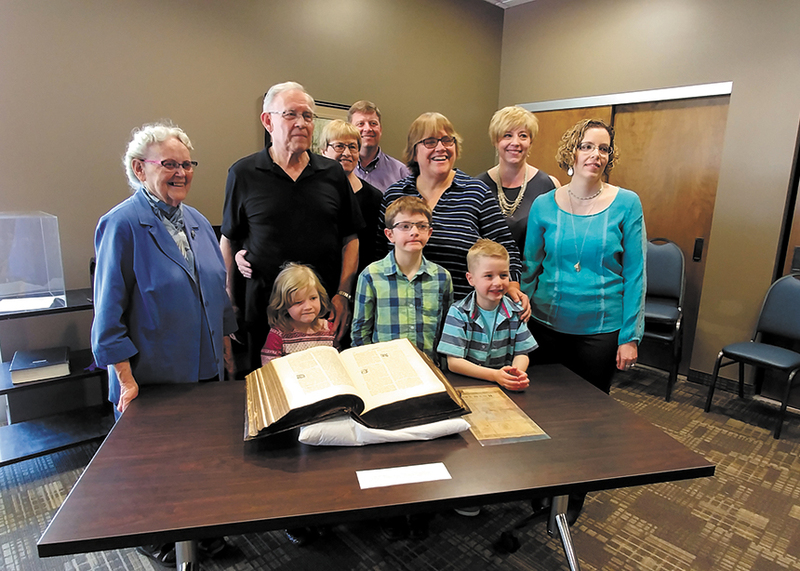 This large, centuries-old book is a part of Ontario Amish Mennonite history. 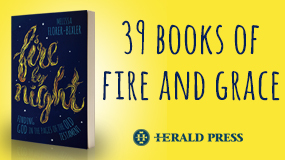 The Bender Bible arrived in the wilderness of Upper Canada in 1832 with the Amish Mennonite immigrant family of Jacob and Magdalena Bender, who brought it from their home in central Germany. They and their children settled near what is today New Hamburg, Ont. Published in Strasbourg, Alsace, in 1744, it is called a Froschauer Bible, named after Christoph Froschauer, the Swiss printer who produced the first complete edition of this translation in 1529. 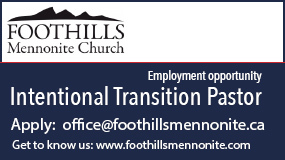 This translation was favoured by reformer Ulrich Zwingli in Zurich and by the early Anabaptists of Switzerland and southern Germany. 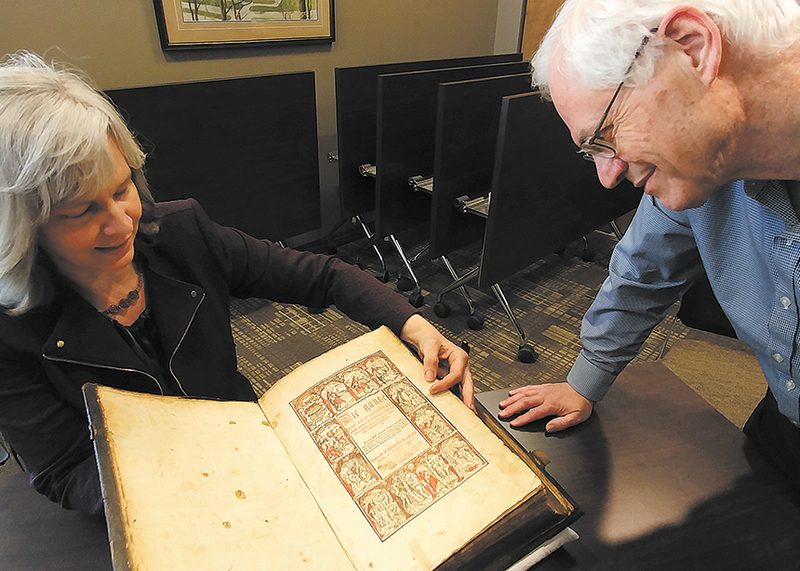 The Bender Bible is one of only seven known copies of the Froschauer Bible brought to Upper Canada by Amish Mennonites. 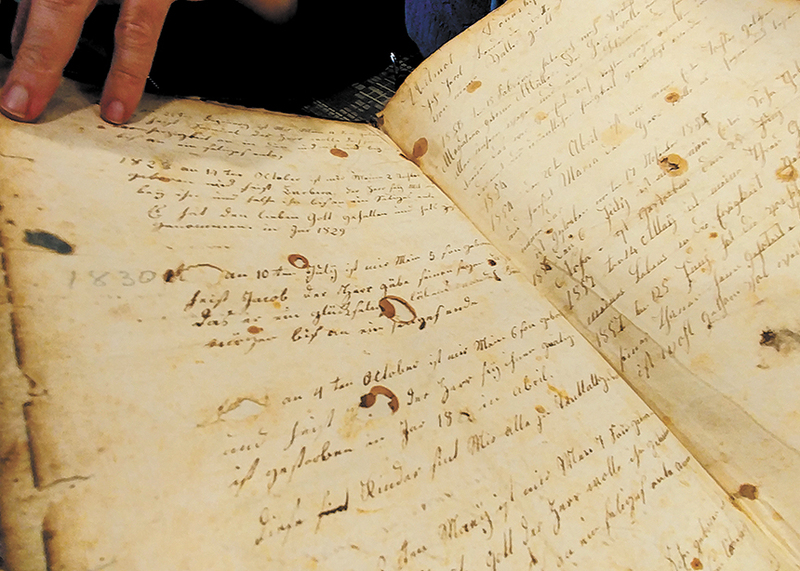 It is unique in that it includes extensive, hand-written inscriptions that tell how Jacob Bender came to possess this Bible, where the Benders originated, when the family immigrated to North America, and marriage and birth information about those first generations. As a testament to his faith, Jacob also included a prayer of blessing for each child. 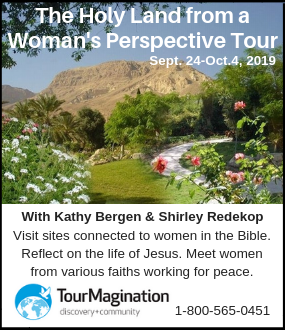 Jacob and Magdalena had eight surviving children, and the Bible was eventually passed on through the generations as a family heirloom and reminder of their faith. The Bible remained with Jacob’s descendants until 1928, when Harold S. Bender, a prominent Mennonite historian and professor at Goshen (Ind.) College, received it from Noah J. Bender and took it to the Mennonite historical library there. There was no written documentation at the time of its transfer, and the question as to whether the transfer was a loan or a permanent donation to that library arose from the start. 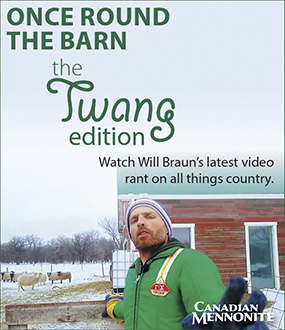 The oral tradition of the Ontario Benders through the generations has maintained that it was loaned. 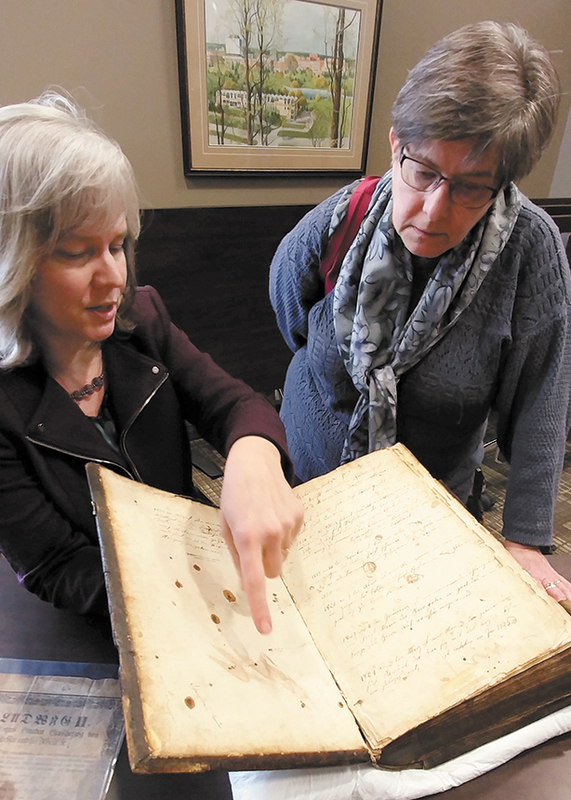 In 2017, conversations began between Mennonites in Ontario and the Mennonite Historical Library in Goshen to bring the Bible back to its first North American home. 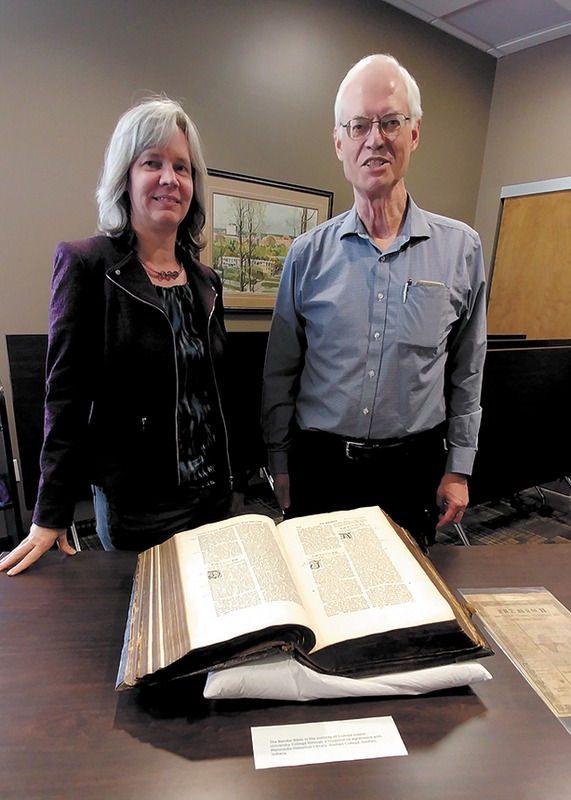 Thanks to the collaboration and co-operation of Laureen Harder-Gissing, archivist of the Mennonite Archives of Ontario, and John D. Roth, director of the Mennonite Historical Library (jointly owned by Goshen College and Anabaptist Mennonite Biblical Seminary), an agreement was reached to return the Bender Bible to Ontario in May 2018 for an initial 10-year period. 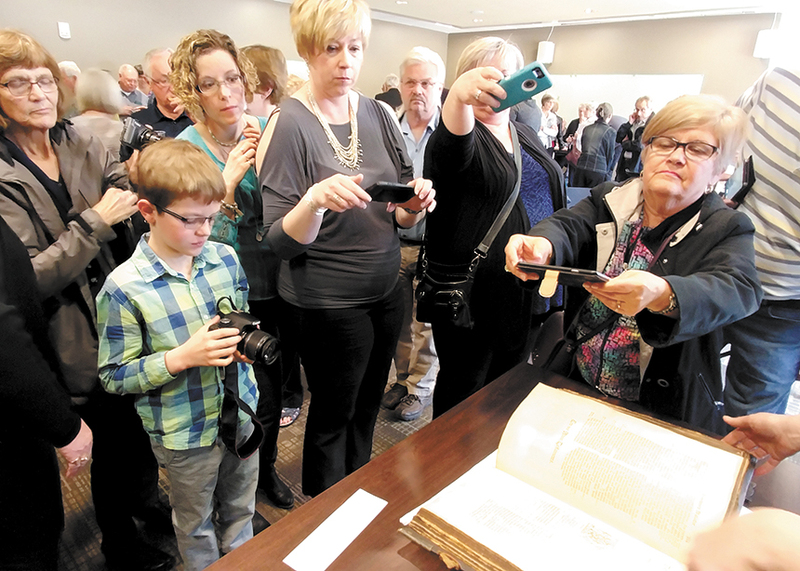 Representatives of Ivan and Beatrice Bender’s family expressed their thanks, and guests sang a hymn of gratitude and were led in a prayer of thanksgiving for the faith heritage of this unique book. The Bender Bible is available for viewing at the Mennonite Archives of Ontario at Conrad Grebel University College in Waterloo, Ont. —With files from Fred Lichti.